Technology in fitness has made getting fitter and healthier more efficient and convenient. Everyday necessities such as phones and watches have evolved into “smart devices” helping you track just about every aspect of your health. Who would have thought 10 years ago that a mobile phone could become your office away from work or that a watch would tell time as well as the number of steps you’ve taken in a day? Given the exponential growth of the Internet and the development of mobile devices in the new millennium, it was really only a matter of time before technology found its way into the world of fitness. There were already tell-tale signs in gyms and fitness centers. 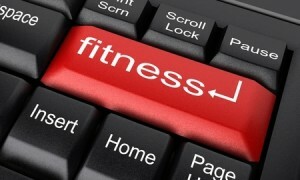 A study by LifeFitness showed that fitness and technology were starting to merge prior to 2012. According to the study, as of 2012 there were more than 10,000 fitness mobile apps in the market. 72% of trainers used a form of technology in the gym. Of the participants in the study, 57% regularly brought mobile devices in the gym but only because 1/3 could not connect them to the equipment. In fact, 1/3 would switch memberships to another gym that had WIFI or docking stations. What is the significance of 2012? It was the year before the sales of the desktop PC started declining in favor of mobile devices. By 2014, 60% of online traffic was coming from mobile devices particularly the smart phone. By 2020, the number of smart phones operating worldwide is expected to hit 6.1 Billion. Technology companies and app makers recognise the growing market for the smart phone which further validated the increasing dependence of the consumer on technology. Put it this way, if you need a watch to tell you it’s time to move it just goes to show you how technologically dependent today’s generation has become. But is technology in fitness a bad thing? Technology is a by- product of man’s ingenuity. How technology will serve you will depend on your purpose and your approach to using it. Generally, technology in fitness will greatly help you achieve your goals to become fit and healthy. 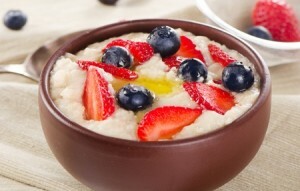 Do you want to burn fat without losing muscle mass? When doing cardio, you shouldn’t exceed 65% of your maximum heart rate. In the days before technology, the method was to count the number of pulses on your wrist for six seconds then multiply the number by 10 seconds. Today with fitness trackers and fitness watches you can find out with accuracy your current heart rate without losing a step. The same goes for knowing how many kilometers you’ve run so far. If you’re training for a 10km race and need to run five 2km intervals, you have a fitness tracker that can measure distance accurately. Knowing your target numbers will keep your progress at pace with the program. It decreases the risks of over-training and under-performing. Keeping track of your nutritional intake has never been easier thanks to apps that help you track every calorie! Before mobile fitness apps were introduced to the public, people who wanted to lose weight were taught how to “eyeball” their food. The correct portion size for steak should not be larger than a deck of cards. One half cup of rice is equivalent to one handful of rice. 28 grams of nuts is equivalent to four dice. Today, mobile apps such as MyFitnessPal allow you to track every calorie you are eating through its searchable data base. This app takes information about your weight and weight loss goals to establish your target calories. Another popular mobile app is LoseIt! which also has a calorie tracker and a more navigable food diary feature. Lack of motivation also happens even to the most experienced trainers. Whether it is due to stress or fatigue, there are days that you are not just feeling well physically, emotionally or mentally. A phone call to a friend or training partner could work but wouldn’t it be better to get in touch with your community? Tap into your social media circle of friends who are into fitness. Share your thoughts and feelings and get their inputs on how to get yourself going. Sometimes all we need is a bit of a push to get ourselves back on track. Most of the time, these apprehensions you feel on training days are just your fears and self- limiting beliefs rearing their ugly heads. A strong support group can help you overcome these fears and follow through with the day’s planned training session. Do you feel your shins hurting more after every running session? Is your plantar fasciitis getting worse by the day? It could be your running form or the shoes you wear for training. There are wearables in the market that can give you information on the way you run including data on stride length and how your foot strikes the ground. Do you want to know if you are over-training in your weight lifting sessions? Invest in a chest strap which measures recovery times in between sets of heavy lifting. This way you’ll know how hard you are pushing yourself in the gym. Once you start exercising and begin to see improvements, the hardest thing to do is to stop. There are some people who keep on training even if physically, their body is slowly breaking down. Fitness wearables have features to monitor your training load and recommend the optimal times for rest and recovery. 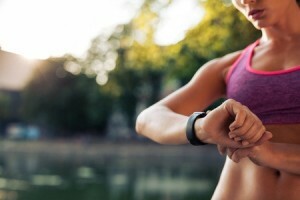 Wearables can help you design a warm up and warm down program to help your body recover faster from the rigors of your workouts. While technology has made fitness more efficient and convenient as life and work, it has not made the physical training itself easier. But when you’re seeing your progress improve each day, it can certainly help keep you motivated to keep pushing for even better results tomorrow!